Be an Interpreter - Got a knack for languages? Are you an aspiring or professional interpreter? 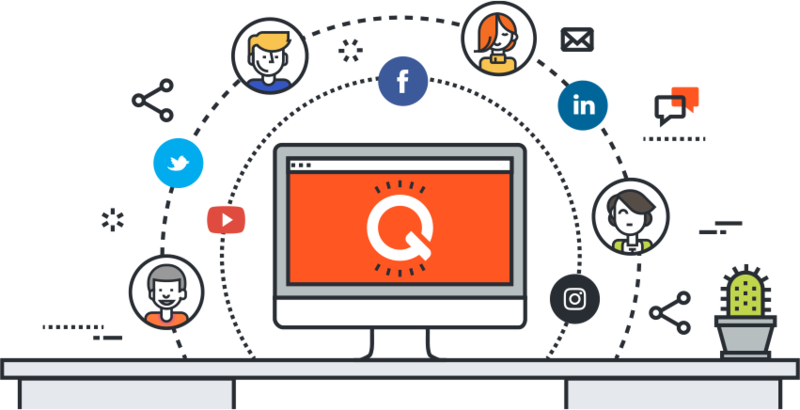 Then join the eQQui community—the biggest interpreter platform on earth! Be part of the largest platform where both interpreters and clients can communicate freely, hire and be hired easily, and get the job done securely. Light up your own orange dots on the eQQui world map, and experience these for yourself. 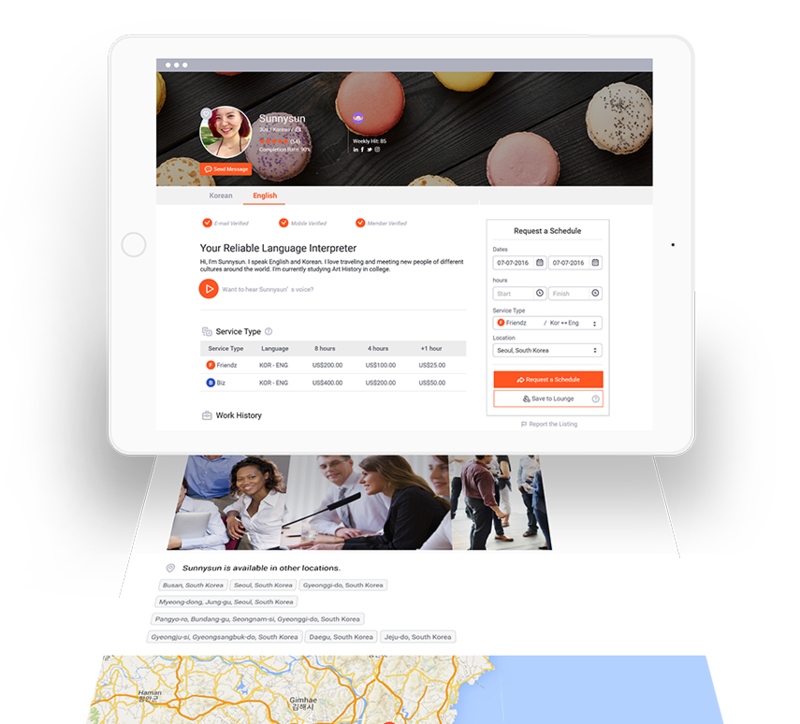 With your My Page profile that you can publish in as many languages as you wish, you can speak to potential clients, show your photos and videos, and list your credentials. Each visit to your My Page is a job interview that can lead to a project. Share your unique My Page link on major social media platforms such as LinkedIn, Facebook, Baidu, and more. Connect and be connected to more people around the world. So forget about e-mail attachments and just share your eQQui code! The world is becoming more mobile. Download our Android or iOS app and use our Silicon Valley technology to your advantage. Maintain seamless communication with clients, set schedules and rates, accept job requests—all at your fingertips! In the list below, select the best fit to start from. Enter the door of new opportunities in just a few clicks! Need assistance? Please contact our eQQui Global Team at help@eqqui.com or 1-408-890-2287. Which eQQui are you? Choose your best fit! Provide casual interpretation for personal or business travelers for their daily activities. You’re likely to be required to have more local smarts than subject-matter knowledge. Provide formal interpretation for meetings, seminars, and other settings where professional interpretation is needed. Fluency in your second language, both verbal and written, is needed. Join here if you’re an interpreter with extensive education designed for interpretation. All officially certified and simultaneous interpreters start here. Still not sure which group fits you? Interpreters: Still torn between two? Choose the LOWER type. You can change or add more later.